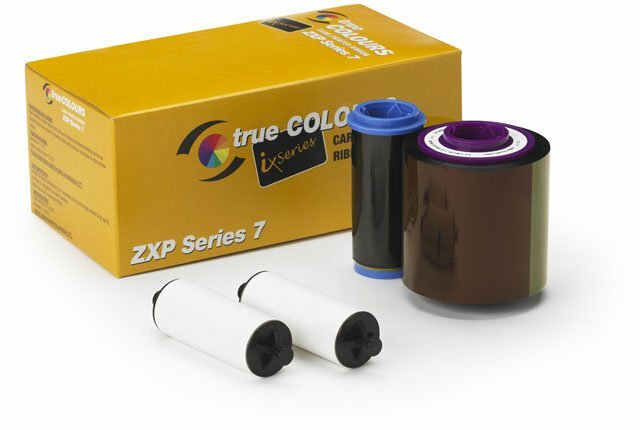 Zebra ZXP Series 7 - ISeries 1 Millimeter Top Hologram with Safe2 Design, 750 imprints per roll. The added layer of laminate protects your card from normal wear-and-tear on your printed cards, as well as extra protection from fading. The Hologram with Safe2 Design provides an added security feature which makes duplication of the card more difficult. Laminate must be used with a printer which has lamination capabilities. Compatible with ZXP Series 7. The Zebra 800086-005 is also known as ZCD-800086005	or 800086005	.